Would you like to feel TRULY Confident? Successful hypnosis treatment for all unwanted habits, behaviours & feelings. Dolphin Hypnotherapy was founded in 1994 and has since helped countless individuals to achieve goals they had previously thought impossible. Whether you need to beat exam nerves, mend a broken heart or find better ways to cope with work-related stress, want help sticking to a weight loss plan, have decided its time to tackle your phobias, are determined to quit smoking or need help dealing with deep-routed psychological trauma, our Bournemouth Hypnotherapy practice can help. A UK leader in hypnosis, The Dolphin Hypnotherapy Practice in Dorset is staffed only by fully qualified and highly experienced hypnotherapist’s. 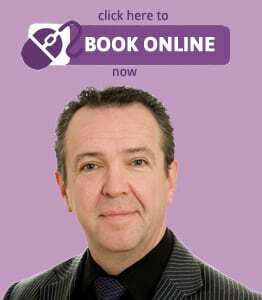 Our Senior Consultant and Bournemouth hypnotherapist, Mr Roberts, is also highly experienced in Psychology, Psychoanalysis, Counselling and Cognitive Behavioural Therapy (CBT). Whether you’re interested in hypnosis hypnotherapy, cognitive behavioural psychotherapy, stop smoking hypnotherapy, slimming and weight loss hypnosis, help with anxiety, increasing confidence, overcoming social anxiety, stress, fear, panic attacks or depression in the Poole, Bournemouth, Swanage or Dorset areas, you have come to the right place. You don’t have to be locally based to access our experienced hypnotherapy practitioner, as we ALSO treat patients worldwide at Online Counselling via telephone, email and videoconference consultations. For a free 1 hour initial consultation with no obligation, please telephone Dolphin Hypnotherapy Practice on 07790 333431 (24 hours), or BOOK ONLINE now, using voucher code INITIALAC (Please note that in the event of non-attendance or cancellation with less than 48 hours notice, our standard consultation fee will be charged). An initial appointment lasting approximately one hour will be made for you. This is a free, no obligation consultation, which allows us to discuss your particular needs, explain the help available and answer any questions you may have. At the end of the consultation we’re usually able to give an accurate prognosis and arrange for treatment to commence. View our fees and opening hours. Due to popular demand we are increasing the levels of our online services via Skype, Whatsapp and telephone. We live in a fast moving world where the pace of life keeps increasing at an alarming rate. Time has become as precious a commodity as money, perhaps even more so. Online and telephone consultations avoid the necessity to travel for therapy, saving both time and money. Worldwide clinical trials have also examined the effectiveness of counselling and CBT delivery via remote means and the results have proven very positive. We are pleased to offer a 20% discount on our fees for all online and telephone consultations.